The gateway to Glebe is marked by the curved facade of the heritage listed University Hotel, and a number of historic items – the Boundary stone of the City of Sydney, the Jubilee Fountain, and the Dave Sands memorial. Born David Ritchie, near Kempsey, Dave and his five brothers, who were all boxers, took the name Sands in 1940. Dave was a proud member of the Aboriginal Dhungutti people. In Sydney he stayed at the University Hotel, ran around Victoria Park for exercise and trained at a gym in Westmoreland Street, watched by local fans. After Dave’s death in a truck accident, Tom Laming junior put on a show in his memory at Harold Park greyhounds. In his 11 year career, Sands held the Australian Middle, Light Heavyweight and Heavyweight Titles and the Commonwealth Middleweight title. 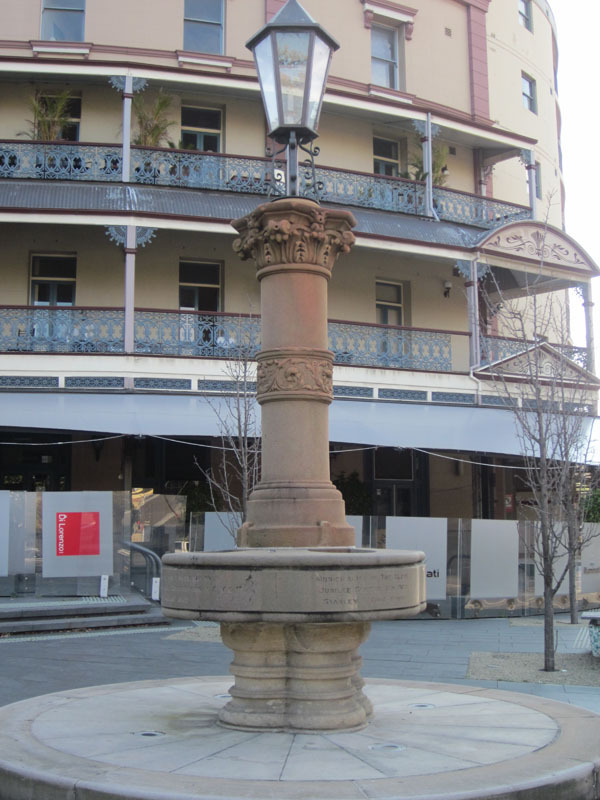 The Jubilee Fountain was unveiled on 2 August 1909 by the State Governor to mark the 50th anniversary of Glebe Municipality. Cadets from Glebe Public and Forest Lodge schools formed a guard of honour to welcome the Governor, Baron Chelmsford, his wife and other dignitaries.